The British Royal Family lives by tradition and for centuries now they have been spending the summer months, August to October, at Balmoral in the Highlands of Scotland. Balmoral has been a Royal private residence since the time of Queen Victoria when it was purchased by Prince Albert in 1852. Initially, when the Royal couple visited Edinburgh as newlyweds, the Highlands reminded Prince Albert of his home back in Germany and they decided it would be a perfect place to bring their young family. Balmoral has been enjoyed by several generations of the Royal family throughout the years and it was happily where Prince Charles and Princess Diana spent part of their honeymoon in 1981. But sadly, after their divorce fifteen years later, it is where Prince Charles and his sons heard the tragic news of Diana’s death in a car crash in Paris in 1997. Prior to the mid-1600s, the first structure on site was a small hunting lodge used by King Robert II of Scotland and in 1451 a larger house with a tower was built by Alexander Gordon and the estate became known as “Bouchmorale”. 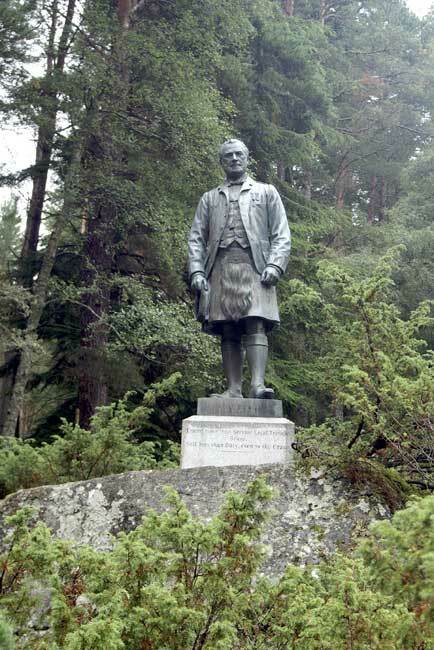 In 1662, the estate passed to Charles Farquharson and then in 1798 James Duff the 2nd Earl Fife purchased the property and several years later it was leased it to Sir Robert Gordon in 1830. 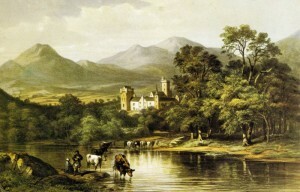 Then in 1842, Queen Victoria and Prince Albert visited the Highlands of Scotland and stayed in Edinburgh. They loved the area so much that they returned again several times over the following years, Prince Albert in particular loved the region as it reminded him of his beloved German homeland. For this reason the Royal Couple were considering a home in Highlands and decided it would be a perfect for their young family to escape London during part of the hot summer months every year. The architectural design is known as Scottish Baronial style and Balmoral was built with granite found on the property. The home floor plan is symmetrical in design with two blocks of rooms arranged around a central courtyard with a tall 80 foot turret topped clock tower at one end of the block. 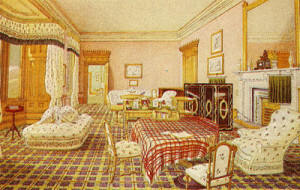 The interior of the house was decorated in the distinctive Highland style with plenty of tartan featured throughout the many rooms. The construction of the main house was finally completed in 1856. 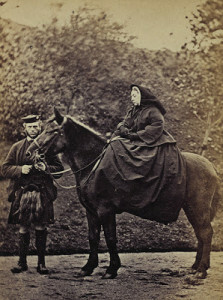 Upon spending increasing amounts of time at Balmoral, Queen Victoria and Prince Albert immersed themselves in the Highland culture. 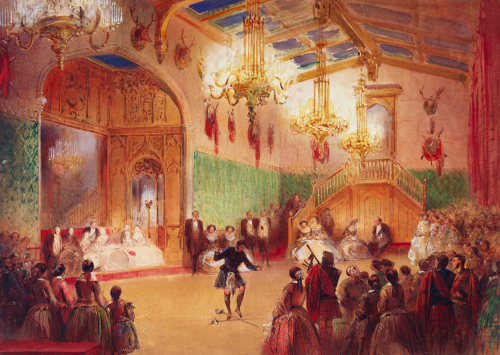 The interior of the house was uniquely decorated with plenty of distinctive Highland tartan and taxidermy stag heads which were featured throughout the many rooms of Balmoral. Queen Victoria enjoyed long hours spent walking on the moors and Prince Albert spent days hunting deer on the property. The Royal Family also attended the Highland games at nearby Braemar and hosted the annual Ghille Ball held at Balmoral. In addition to the new home at Balmoral, improvements were made on several cottages and outbuildings as well as the gardens and woodlands on the property. Prince Albert supervised the planting of conifers on the grounds, the building of a new bridge and the establishment of a farm and dairy. After Prince Albert’s death in 1861, Queen Victoria went into period of deep mourning and spent an increasing amount of time at Balmoral where she spent so many happy times with her beloved husband and far away from her Royal duties in London. 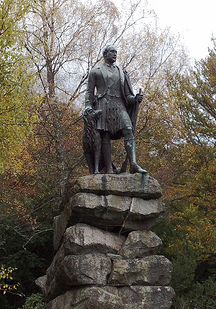 Several memorials were erected on the property; the pyramid- shaped cairn at the top of Craig Lurachain erected a year after his death and a statue of Prince Albert which was placed on the event of the twenty-eighth anniversary of the engagement of Queen Victoria and Prince Albert. 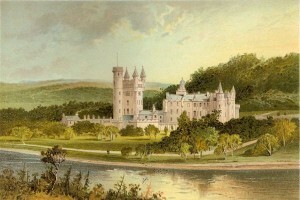 King Edward VII continued the tradition of the Royal Family annual trip to Balmoral during the autumn months. His successor and son, King George VI also enjoyed the annual trip to the Highlands. After the death of King George VI his son, known as King Edward VII, acquired the ownership of Balmoral when it was passed to him in 1936. Later that same year when he abdicated the throne to his brother, now known as King George VII, part of the negotiated settlement was the sale of both Balmoral and Sandringham (properties personally owned and not part of the Crown) to King George VII. After the death of King George VII in 1952, his daughter, the current reigning Queen Elizabeth II inherited Balmoral and she continues the Royal Family tradition of annual trips to Balmoral during the months of August to October. Balmoral offers visitors a variety of activities for visitors and the price of admission includes parking, a one hour guided tour including the Castle’s Ballroom and access to the gardens, the exhibitions and also an audio tour. There is also a small restaurant and gift store for visitors. It is advised that a minimum of at least one and a half hours is reserved when planning a trip. The Ballroom is probably most famously known as the setting for the annual Ghillie Ball, Queen Victoria started the tradition in 1852 when she wanted to thank her servants and other members of her staff for their good service. The ball is a much anticipated event for everyone at Balmoral because of opportunity for the servants to socialize and even dance with the Queen and her family. Historical Note: In 2014, the Ghillie Ball was postponed for one day by Queen Elizabeth to allow the vote on Scottish independence referendum. The end result was a decisive 53% vote against independence. Located not far from Balmoral is the Garden Cottage were visitors will be able to view a short film that shows how the 50,000 acre estate is managed. The original Garden Cottage was built in 1863 but by 1894 it had fallen into disrepair and was demolished. The current structure was built with stone and wood supplied by the materials on the property and it was completed in 1895. In her later years, Queen Victoria often used the cottage in the morning to have breakfast or in the afternoon to work on State papers, correspondence and to write in her journals. The gardens adjacent to the cottage were originally planted under the guidance direction of Prince Albert. Several years later, during the reign King George VI, Queen Mary re-designed the garden with a fountain surrounded partially by a rock wall, the garden gate still bears the monograms of King George and Queen Mary (GR &MR). 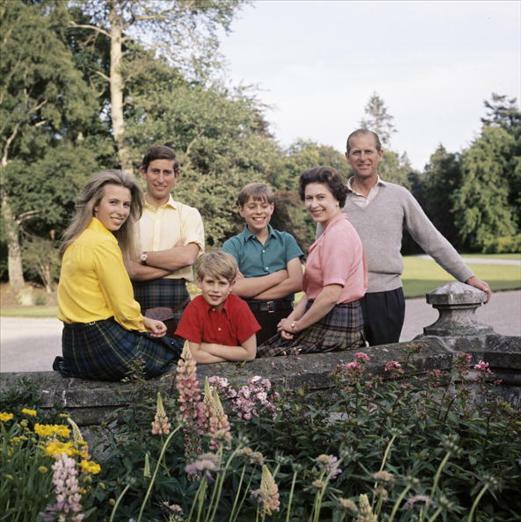 More recently, the Duke of Edinburgh planted a large vegetable garden to supply the Royal Family during the summer months. 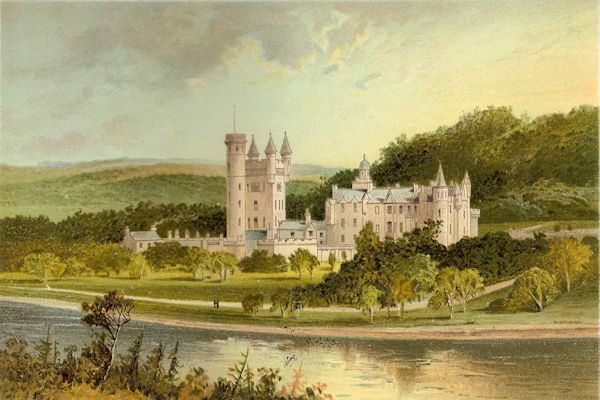 The Birkhall property was purchased by Prince Albert in 1849 in addition to the Balmoral estate, it was set aside for the exclusive use of his eldest son, Prince Edward (the Prince of Wales and later King Edward VII). Later, in 1884 Queen Victoria bought the property back from her son and used it to provide housing for her staff. 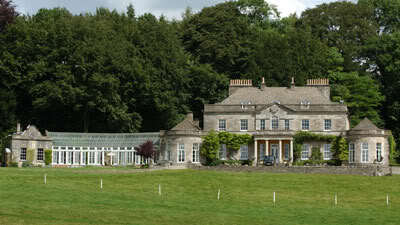 When King George V inherited Balmoral after the death of his father, he lent Birkhall to his second son, the Duke and Duchess of York (the parents of the current Queen Elizabeth II). The Royal couple enjoyed their time at Birkhall with their two daughters and during the time they occupied the house they redecorated the interior and replanted the gardens. In 1936, when King George VI ascended to the throne, Birkhall was lent to Princess Elizabeth and during the summer months it was occupied by her, Prince Philip and their small children. 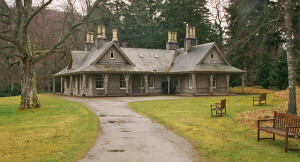 After the death of King George, his daughter, Queen Elizabeth moved to the main house at Balmoral during their summer visits and her mother, Queen Elizabeth the Queen Mother, returned once more to Birkhall and she continued using it until her death in March 2002. 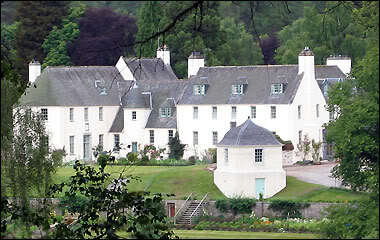 After the Queen Mother’s death, Prince Charles (the Prince of Wales) inherited Birkhall. When he married Camilla, the Duchess of Cornwall, in 2005 they spent their honeymoon at the Birkhall. Craigowan Lodge is located on the Balmoral estate about one mile from the main house. The seven bedroom stone house was frequently used by Prince Charles and Princess Diana when they would visit Balmoral during the summer months. Now the lodge is used for the housing of very important guests or sometimes various Royal Family members and when the Queen arrives at the estate in mid-July, she uses the lodge while the main house is being prepared for her extended stay during the summer months. For more information about another privately owned British Royal residence, please click on the link to Sandringham. This entry was posted in Travel and tagged Balmoral, Balmoral Ballroom, Balmoral Castle, Barbara Jones, Birkhall at Balmoral, Braemar, Craigowan Lodge at Balmoral, decorating style of Balmoral, Enchanted Manor, Garden Cottage at Balmoral, Ghille Ball, Ghille Ball at Balmoral, John Brown, John Brown statue at Balmoral, points of interest at Balmoral, Prince Albert memorial at Balmoral, Prince Albert statue at Balmoral, Queen Victoria and John Brown, Queen Victoria at Balmoral, Royal family at Balmoral, The Enchanted Manor, the history of Balmoral, The Victorian rooms of Balmoral, tourist information regarding Balmoral, Travel, travel in England, when did Prince Albert purchase Balmoral, When does Queen Elizabeth visit Balmoral, Where is Balmoral located, who built Balmoral, Who owns Balmoral, Who owns Birkhall by barbara. Bookmark the permalink.